DFRobot has a Gravity I2C LCD1602 RGB Backlight Screen which backlight can be modulated to the different backlight colors and the display effect is very brilliant. This RGB LCD backlight panel is its internal backlight component. 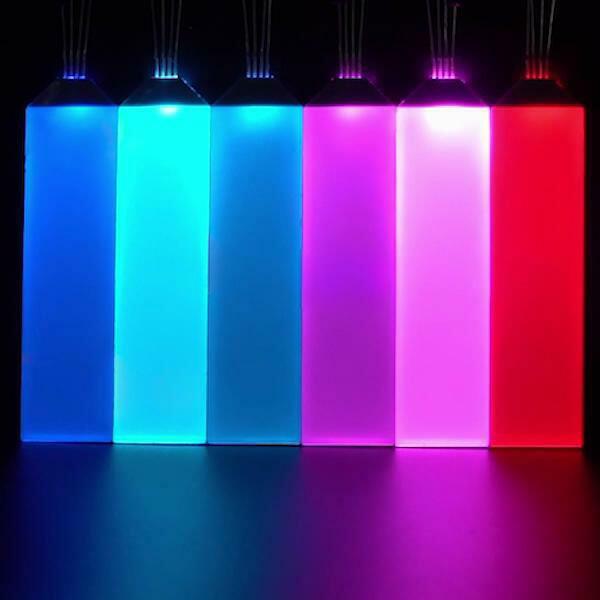 The RGB LCD backlight panel uses the RGB color model, this is an industry color standard that produces a wide variety of colors by varying three color channels: red (R), green (G), and blue (B), a total of 16 million colors, nearly all colors that human vision can perceive. 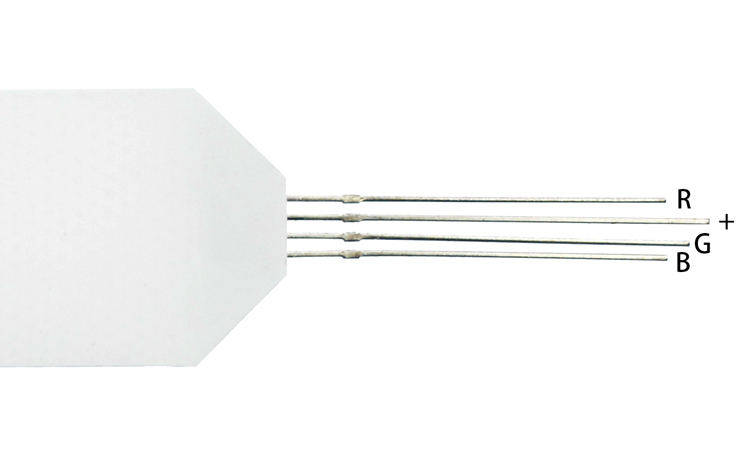 The RGB LCD backlight board has a built-in common anode diode with the black edge at the pins facing up, the pins from left to right are red, power positive, green and blue. It can be used for both backlighting and LED indicators.